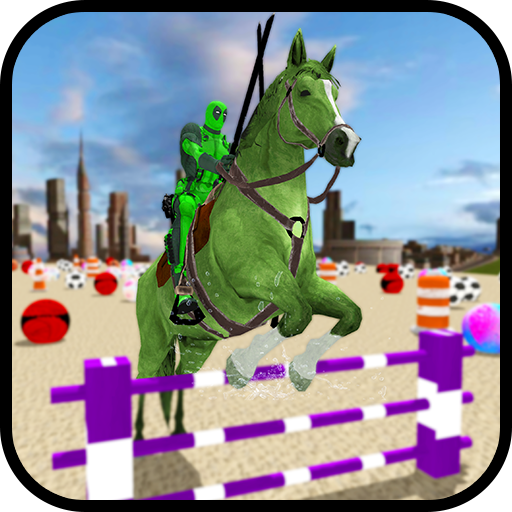 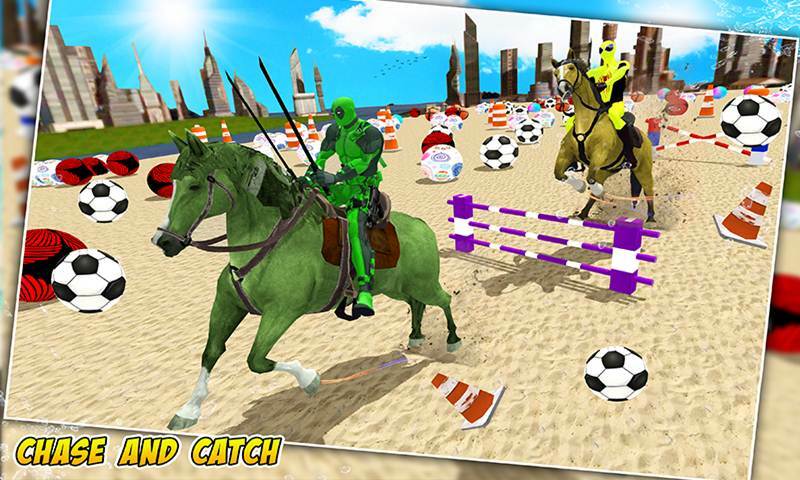 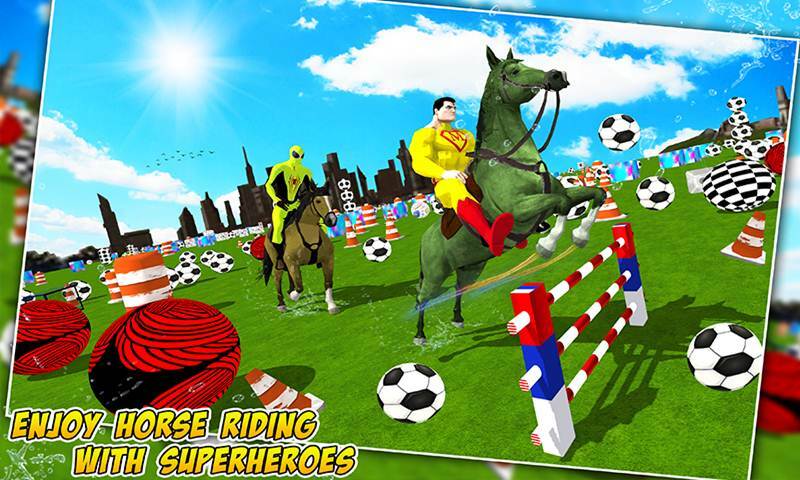 Make ready for city race and complete thrilling stunts on dissimilar hazardous tracks by playing this Superheroes Horse Racing Stunts Simulation. 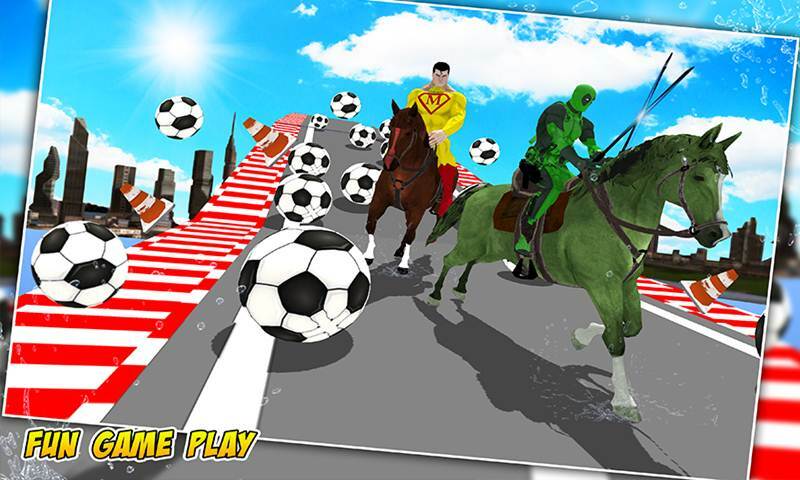 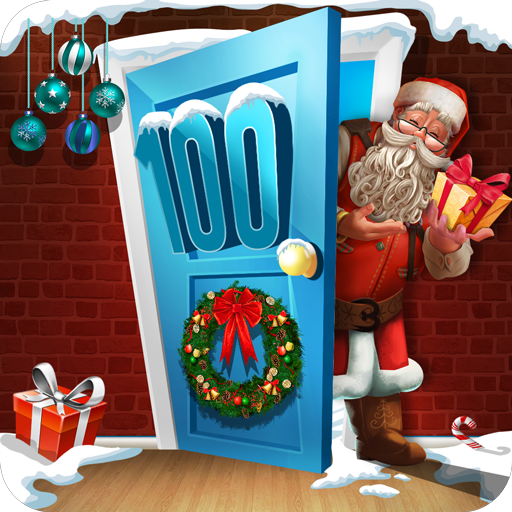 Superheroes back again into the city racing with stimulating gameplay particularly for the superhero racing games devotees and horse Raiders. 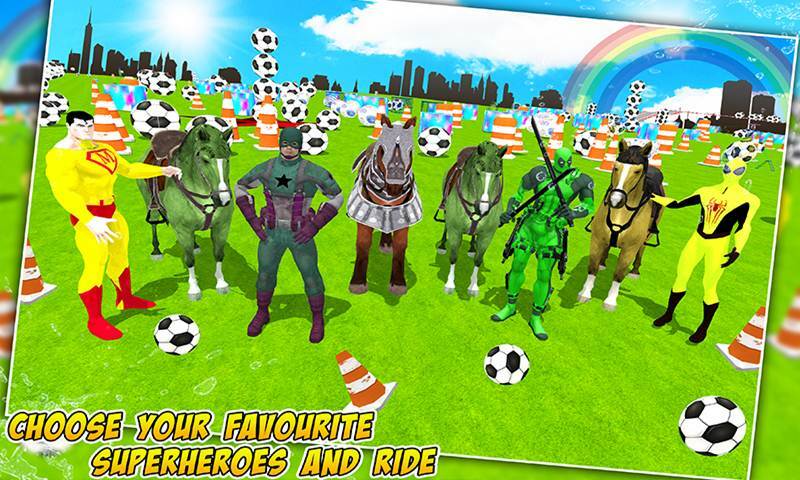 Superhero Racing Horse City Stunts Simulation contain vast group of super players like, spider hero, challenger Captain Hero, daring Dead Hero as well as one of your favorite Super hero to play with. 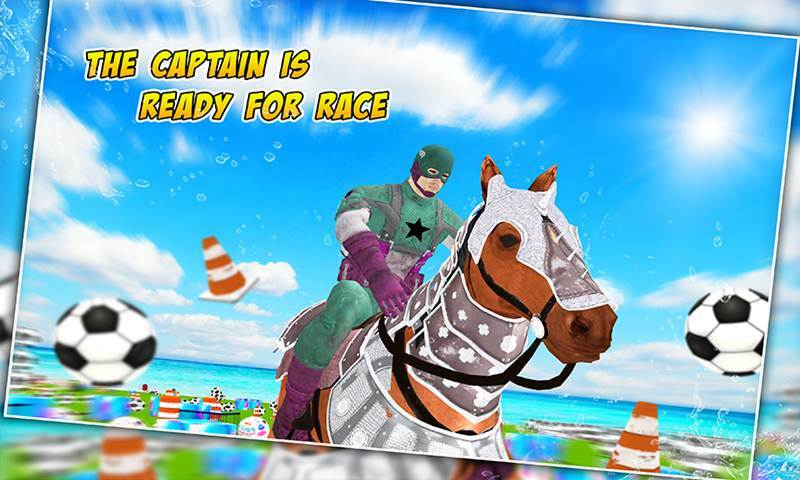 This mega package stack of Super Racing Horses is consist of four Special breeds of racing Horse.